When you visit Dr. Jao for knee arthritis treatments in our Brea, CA office, she may suggest stem cell injection treatments if you are a good candidate for this procedure. Although stem cells for knee arthritis are still a relatively new treatment, many of Dr. Jao’s patients have seen positive results from this procedure, and have reported increased mobility of the joints and noticeable decreases in pain. However, there are many considerations that should be taken into account before undergoing this treatment. When you visit our office for a knee arthritis stem cell evaluation, Dr. Jao will consider many factors before recommending stem cell arthritis treatment. For example; your age, degree of knee cartilage loss, and problems with surrounding tendons should all be taken into account before administering stem cell injection treatment. The idea behind treating knee arthritis with stem cells comes from the unique biological properties that these cells possess. Stem cells are unique in that they have the potential to divide into many other types of cells, depending on what part of the body they are present in. For example, when injected into the problem areas of the knee, stem cells may have the potential to develop into cartilage. Further, these sells may also work to rebuild the tendons and ligaments in the area, which will provide additional support for the knee. Of course, this depends on how the treatment is performed, the injection site, and the main causes of the pain in the knee. In some cases, patients are mistakenly diagnosed with knee arthritis even though the problem stems from problems like bursitis, meniscus tears, and cartilage damage due to injury; all of which may also be treatable with stem cells. If you are considering stem cell therapy for knee arthritis and would like to work with an experienced doctor who understands the nuances of knee structure, arthritis, and knee injuries, please contact our office to set up a consultation with Dr. Jao. How is Knee Arthritis Stem Cell Therapy Performed? To perform stem cell injections into the knee, Dr. Jao will first need to harvest adult stem cells from your body. Most commonly, Dr. Jao will remove these stem cells from your own fatty tissues. When compared to stem cell retrieval from bone marrow, the fatty tissue source is much more comfortable for the patient. It requires only local anesthesia and there is no down time. Next, the removed stem cells are concentrated into an injectable solution that will be delivered to the areas of the knee that suffered the most significant effects of knee arthritis. Typically, such effects include depletion of cartilage and damage to the meniscus. Once the solution is ready, Dr. Jao will perform the stem cell injection into the knee. What does the Stem Cell Injection feel like? During the stem cell injection into the knees, you won’t feel any pain. Dr. Jao will administer a local anesthetic, and you will be completely comfortable. General anesthesia is not necessary for this procedure, so you won’t need to take more than a day off work to get this completed. Does the Stem Cell Injection Hurt? Because of the local anesthesia, the knee arthritis stem cell injection does not hurt. After the procedure is completed, you may notice swelling and minor pain in the area for a few days. During this time, it’s important that you avoid anti-inflammation medication, such as aspirin. However, Dr. Jao will give you personalized instructions during your consultation, so that you’re completely ready the day of treatment. Most of Dr. Jao’s patients notice an improvement in knee arthritis pain 2-3 weeks after the procedure has been completed. Immediate results are not possible because the cells need time to divide in the affected area and repair the damaged structures. 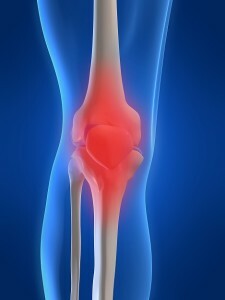 How Many Stem Cell Knee Arthritis Treatments are Necessary? Depending on the severity of your knee arthritis, you will need 1-3 treatments, spaced approximately one month apart. Many of Dr. Jao’s patients who have early stage arthritis have reported significant improvement after just one treatment. Platelet Rich Plasma (PRP) is another treatment option that can be used either as a stand-alone treatment for knee arthritis, or combined with stem cell injections. PRP is derived from your own blood and contains growth factors; chemicals that help your body repair itself. Unlike stem cells that can divide into other cells, PRP does not produce new tissue. Instead, it can stimulate damaged tissue to repair itself. PRP can be combined with stem cell knee injections or can be performed alone, but is not always necessary during stem cell arthritis treatments. The specific course of action will depend on your unique situation, and Dr. Jao will discuss your options with you in detail during your consultation. Is there a Chance of Stem Cell or PRP rejection? Because the PRP and/or stem cells used in knee arthritis treatments are derived from your own body, there is virtually no chance of tissue rejection. Do Stem Cells Completely Cure Knee Arthritis? When discussing stem cells treatments for knee arthritis, it’s important to understand what this treatment can and cannot do. For deeper insight, let’s first consider what arthritis is, and how it affects the knees. Rheumatoid Arthritis: In this type of arthritis, the tissues in the knee (cartilage, ligaments, etc.) are attacked by your immune system, which slowly damages and destroys these tissues. Osteoarthritis: With osteoarthritis, the knee develops problems from the wear and tear of the cartilage. As the amount of cartilage decreases, the bones begin to rub on each other, producing painful spurs. Posttraumatic Arthritis: This type of knee arthritis develops after an injury to the area, which gives the knee instability (thus causing more wear on the joint), and also causes damage through associated inflammation. When stem cell therapy is used for knee arthritis, it’s important to remember that the therapy may only be effective in repairing the damaged tissues, like cartilage. However, the underlying causes (chronic inflammation or a lifestyle that puts significant stress on the knee) can still damage the newly-formed tissue. Therefore, after your knee arthritis stem cell treatment is complete, it is essential to follow Dr. Jao’s guidance on continued treatment with medication (for example, to reduce chronic inflammation), and suggestions about lifestyle changes. Further, Dr. Jao may suggest physical therapy to prolong the effects of stem cell injections by building strength in the knee to take the pressure off the joint. How Much Relief Can I Expect? This is a very difficult question to answer, because every patient is different. Not only does the damage to the knee vary from patient to patient, but pain sensitivity can vary greatly between individuals. However, the majority of Dr. Jao’s patients have reported a significant reduction in pain and an increase in knee mobility. When it comes to chronic knee arthritis pain, even a 50% or 75% improvement in pain sensation can make a drastic improvement in your quality of life. If you’re suffering from knee arthritis and would like to explore stem cell arthritis therapy, please make the first step by contacting our office to schedule a consultation. Please call us at (714) 930-1351, or simply fill out the Contact Form below!